Taking my son down to see them in the final. Flights booked at full time. If you are ever on a jolly in London Brisbane Road is well worth a visit. Great result for the East End Super Reds tonight! Brissy Road would've been rocking. One last push and we are up. Fingers crossed. Somebody said at the weekend there was a friendly arranged against them for this summer. Anyone any info? Not that I've heard but when I was down watching them a few weeks back they were saying they'd absolutely love a friendly with Hearts but knew other things were more important. It'd be superb if it could be arranged though, I'd be chuffed to bits. Got a soft spot for the Super O's after watching a game at Brisbane Road in 2006. Would be delighted if they got promoted. I doubt it tbh, but it was mentioned on here before. They're known to us as "the English McCrae's Battalion" after all, we have some great history in common! I couldn't make it last night as I was stuck at work, Mrs R was chuffed to bits when she got back with Jnr last night. Unfortunately we're off on holiday next week and need to try and swap stuff around to try and get to Wembley. A few members of my u7's team where at Brisbane rd last night, I even seen 1 of them on the pitch after the whistle went! Always like to see then do well. I'll never forget that night out with their fans after the Everton game, prior to our match with Liverpool. I would want Preston to win if they make it through. Still seems odd residents sitting on their balcony having a cuppa at above the corner flag at orients ground ! That was the night we were sitting in the Everton end and I'm shouting "snap him" whenever Naismith was on the ball. Was tempted to go last night. Tickets were only ?23. Might take in game next season if they manage to get promoted. Followed them since 1999 when I was down and took in a game and actually went down last month with some mates for my 40th. Would love to go to Wembley, Anyone up for arranging a JKB Orient trip? FOOTBALL fans who helped finance a memorial in France honouring players who fought in World War One have been thanked with their own plaque at Leyton Orient FC's ground. More than ?15,000 was raised by supporters for the granite monument near the Somme battlefield, which was erected this summer to mark the sacrifices made by players, staff and fans of Clapton Orient - as the O's were known up until the 1940s. By way of thanks a 'roll of honour' has now been installed at the supporters club naming all those who contributed a set amount to the fund. It was unveiled in a ceremony attended by dignitaries including Leyton Orient chief executive Matt Porter, members of the Royal British Legion and mayor of Waltham Forest Cllr Geofff Walker. Steve Jenkins, deputy chairman of Leyton Orient Supporters Club, was also awarded an enlarged version of the O?s Somme badge and an engraved plinth in recognition of his tireless fund-raising and research work for the project. He said afterwards: ?The O?s Somme Memorial Committee wishes to thank everyone who has supported not only the Roll of Honour, but also the entire project and the fact the memorial now proudly stands on the Somme only goes to show how many people have taken the O?s Memorial to their hearts.? The O's supporters club bar is one of the best around, ?12 a year to be a member but opposition fans can pay ?1 on matchdays to get access. Good range of beers and ciders perfect for chilling out before the trek home. Ah the O's. Went to see them play Kiddiminster at Brisbane Road when it only had two stands! Great fans but League 2 football was dire. It's THE best around mate! 3 quid a pint and a massive selection of ales, it's even used for beer festivals & all sorts. The sorta thing we should have at Tynie, let the support run it like they do at the Os. 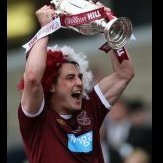 Absolutely gutted I can't make the play off final, runnin the Edinburgh mara that day, was at both finals at Wembley & Millennium stadiums few years back when I was living down there. Fingers crossed for the Reds! PS, sorry Leyland Jambo, even tho Mrs Terraces is from your very town and I have a soft spot for them, I hope PNE aren't the side going up this year mate. We must have been in the same pub!! They were quite a rough mob, but great company. Ours weren't mate. Quite posh actually. An older couple with these two young lads. If it's any of the lot I used to go to the away games with they love a drink, massive 2litre bottle of bloody mary for breakfast anyone?! Slaughterville, top boys&girls! As I said, the supporters club is the mutts nuts, and cheap, great place to get reeking. Love it. Bill's good for the first 5 minutes but it kicks off when Maureen comes in. I'll bet the old girl we were out with outlasted the skinheads. Still dancing at 2am. My hangover for the Liverpool gane though. Took me half an hour of looking at a pint of cider at concet square to get back into the swing. That trip/bevvy session was actually the catalyst for kicking off the exchanging of wreathes in Nov 2012. Totally mate. By coincidence* I was at the game the O's played at Deepdale the day after Sir Tom passed away, very memorable, sad and poignant occassion, was a privilege to be there and pay respect. Top place Preston as well,, cheap bevvy ahoy. *the fact it was Mrs Terraces birthday so I suggested visiting her mother in Preston "oh, and look dear, Leyton Orient are playing there the same weekend, whoda believed it!" Have to admit a bit of a soft spot for Orient but having lived in Preston for over a year and regularly visited Deepdale I hope PNE do it. I never got to Deepdale that time but Preston was in mourning that week. Next time your down this way give me a shout we could maybe have a couple of jars. Yeah mate, it was complete coincidence we were down that weekend when Sir Tom passed away, it wa a pretty emotional day, been there many times and know what he means to that town. Mrs T's mum lives in Preston, and her brother lives in Leyland, been there a few times down the years, few parties in the RAF club haha! Will shout you the next time I'm down there fella! To Everyone For interest: Steve Jenkins (who has been instrumental in getting the Memorial for the O's lads who fought in the war) has updated his book 'They Took The Lead' which is kinda similar to Jack Alexanders about McCraes Battalion, spoke to Steve when I was down the O's last month, he's put in a chapter about McCraes and Hearts in the version. Coupla linkys here, 1st one regards the memorial the Os have at Flers in France, the 2nd about the new versh of Steve's book. Bunch of utter wankers, seen one of them glass their own mate outside that envy club. Won't judge them on a few piss heads tho, would love a game against them down there . This! They were looking for a fight IMO, only to walk into a pub with about 100 odd jambos. Then sheepishly got a pint and stood in a wee corner. The pub where the Lee River(canal) crosses Lea Bridge Road used to be a Hells Angels pub back in the 90s and if I remember rightly there was also a bit of shoot out involving them in the Drum car park. Its probably quite peaceful these days though. We used to have a few pints near Walthamsow Central tube and then hoof it down from there to Brisbane Rd.